As a teen, I was always disappointed that there weren’t more YA novels set in my city, so it was a rare treat to read a #LoveOzYA novel about the challenges of first love, family and friendship that takes place in Adelaide, and I caught up with S. J. Morgan to find out more about her writing process and how the story came to be. A big thank you to S. J. Morgan for taking the time to answer my questions, and to MidnightSun Publishing for providing an ARC of Heaven Sent. Where did the idea for Heaven Sent come from? All I had in the beginning was the opening scene: the vehicle crashing into a bedroom. The scene was quite vivid in my head because a car had actually ploughed into my aunt’s house some years before, and I’d held onto lots of ‘what if’ scenarios in my head ever since. In terms of character, I really enjoy writing about characters whose motives are questionable/unclear; that delicious uncertainty about whether they’re really, really good or really, really bad. Once I found my characters (in particular, Gabe) and worked out motivations in my head, the story started to unfold by itself. We meet your protagonist Evie at a difficult time in her life when her relationships with her family and friends are undergoing significant shifts and strain. Can you tell us a bit about Evie and what’s going on in her world? Evie’s world fell apart years ago, when her dad left. She was too young to understand the reasons, but it left her feeling powerless and vulnerable. And her life has continued in that vein: her mum’s boyfriend is a loser; Evie’s best (only) friend, Paige seems to be growing up and leaving Evie behind; plus Evie has to wear a back brace for her scoliosis and isn’t even in control of her own body. For as long as she can remember, things seemed to have just ‘happened’ to her – usually bad – so, when she meets Gabe, she’s desperate to believe that he’s special and that he can somehow help her. When Evie first meets Gabe, he seems to promise a welcome distraction, if not a solution to her problems. But Evie knows very little about Gabe and whether or not she can trust him. Can you tell us where you found the inspiration for this character? One of my favourite plays is Brimstone and Treacle by Dennis Potter. It’s about a family in crisis preyed upon by a scheming young man who wheedles his way into their lives. Although his motives are clearly evil, in a strange way, he ends up ‘saving’ the family. When I started writing about Gabe, I wanted to create that same sense of unease in the reader where they question motives and worry on behalf of Evie because she seems so trusting and so ready to believe. As a proud South Aussie, I love that Heaven Sent is set in Adelaide! What made you decide to set the story here and did the setting help shape the narrative? I didn’t make a conscious decision to set the book in Adelaide, but it just felt natural and right. My daughters were both in high school at the time, and it was their bus rides from the hills to the plains that I imagined, and their school being the setting for Evie. I love not being constrained by the setting though. I couldn’t use a real address for Gabe, for instance, so I made up a suburb name, and once I did that, I gave myself permission to be creative with location. I wanted enough ‘real’ landmarks to make it quintessentially Adelaide, but I didn’t want readers distracted by too many specifics. I remember listening to Rebekah Clarkson talk about her Mt Barker based book, Barking Dogs and she’d also mixed reality and fiction. She recalled that one of her readers had gone looking for a particular shop mentioned in the book and had been disgruntled to find it didn’t exist, even though the location was real. I love that mix of fact and fiction. Finding a publisher is notoriously tricky, and even knowing when your manuscript is ready to submit can be difficult. Can you talk us through your publishing journey and how Heaven Sent found a home with MidnightSun Publishing? My path to publication was definitely long and it certainly wasn’t easy! I’d written four novels before Heaven Sent: three were women’s fiction and one was a middle grade mystery. The middle grade one got as far as an acquisitions meeting with an Adelaide publisher but unfortunately it fell at the final hurdle. Then, in 2015, I went to the Salisbury Writers’ Festival and submitted the first page of Heaven Sent for the panel to comment on (the First Page Panel used to be a wonderful feature of the Salisbury Writers’ Festival) and it got very good feedback. I also discussed the themes of the book with an agent that day, and again, the response was positive. In terms of knowing when it was ready to submit, I have two writing friends – one in the UK and one here in Australia and we’ve edited and reviewed each other’s work for some years, so I relied quite heavily on them to get a sense of when it was up to scratch. Left to my own devices, I’d probably never think my work is ready! Did you have a favourite part of the writing process for Heaven Sent? For me, there’s nothing quite like the first draft stage where you’re getting everything down on paper. I rarely have a hard-and-fast plan with my stories because I like the journey of discovery. I love those lightbulb moments that end up forming a plot twist and which take the story in a whole new direction. I really enjoyed writing the scenes with Evie at her hospital appointments. In my teenage years, I had such appointments to monitor my scoliosis and I found its quite cathartic to recount them in the third person and, in a sense, relive them. What was your biggest challenge in writing Heaven Sent? When I started writing Heaven Sent, I didn’t know much about YA trends. I’d read lots of YA and loved it, but I hadn’t read around the subject. It was only after signing the contract I became more aware of YA ‘expectations’ and I then felt a certain (internal) pressure to conform. For instance, contemporary YA is diverse in terms of its portrayal of race, sexuality etc and I worried that Heaven Sent didn’t fit in with that. I was also aware of a tendency for leading female characters in YA to be feisty and outspoken (at least by the end) whereas Evie is quiet throughout. But, even though my confidence faltered for a while, I knew I wanted to be true to the book I’d written. I didn’t want Evie to be feisty – I wanted her to lack confidence because of the things that had happened to her and although she develops more belief in herself by the end of the book, I didn’t want to portray that as some kind of epiphany. I wanted to portray hope rather than transformation, because change is slow and gaining new insights – for all of us – takes a long time. I love the humour and irreverence of teenagers. And the drama! It makes writing YA really fun. But those same young adults are also often vulnerable, and uncertain of their place in the world, so there’s this other side to them that is hard to uncover. I guess it’s those two (apparently opposing) elements that make me love writing YA. Having two teenage daughters certainly helped me write Heaven Sent, but I think there’s also certain parts of me as a teen in there too. Writing YA forces you to examine your own adolescence and while that’s not always fun, it’s certainly interesting. Are there any books you’d recommend for readers who enjoy Heaven Sent? There are so many wonderful YA book around and, here in Australia, I think we’re spoilt for choice in terms of local talent. If you enjoyed the themes of Heaven Sent, I think you’d enjoy books like My Sister Rosa by Justine Larbalestier. It’s a darker novel but it’s wonderful. Readers might also enjoy A Beautiful Mess by Claire Christian, Ballad of a Mad Girl by Vikki Wakefield and I’m Out With Lanterns by Emily Gale. Finally, can you share anything about what you’re working on next? Ah, my poor neglected work-in-progress! Yes, I am (or, was!) working on another YA novel about two troubled teenagers who meet online. He’s from Sydney, she’s from Burra, and it’s about the closeness that develops between them despite their physical distance. 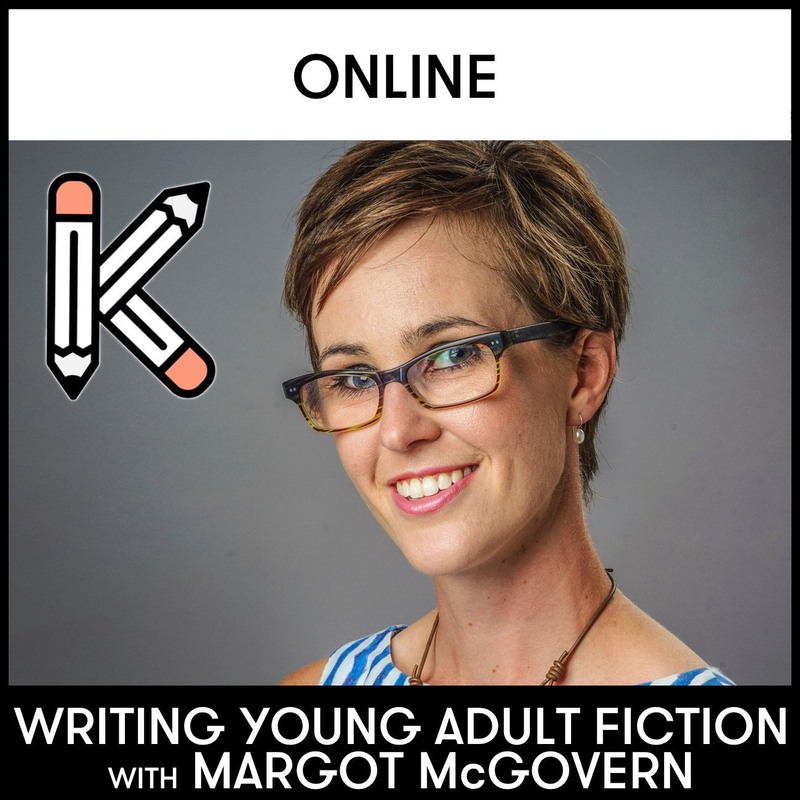 Posted in Author Interviews, For Readers, For Writers, YA and tagged Australian YA, Heaven Sent, LoveOzYA, S J Morgan, writing tips, writing YA, YA book bloggers, Young Adult fiction. Bookmark the permalink.